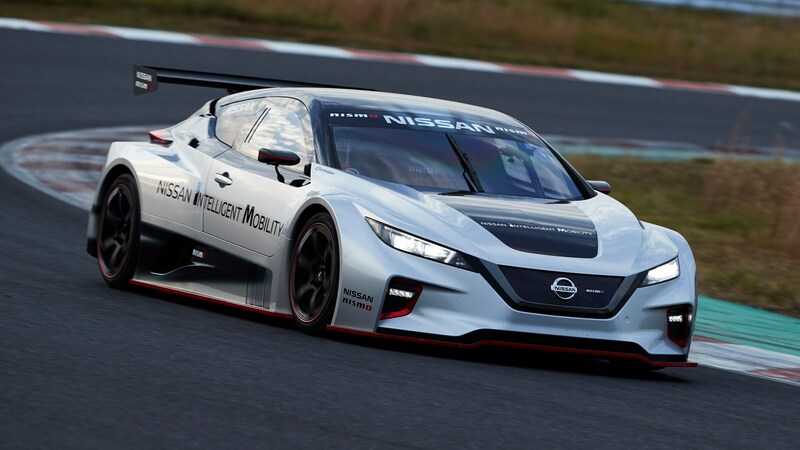 Nissan has surprised us all by unveiling a racing, Nismo version of its Leaf EV – and it looks like everything we hoped it’d be. 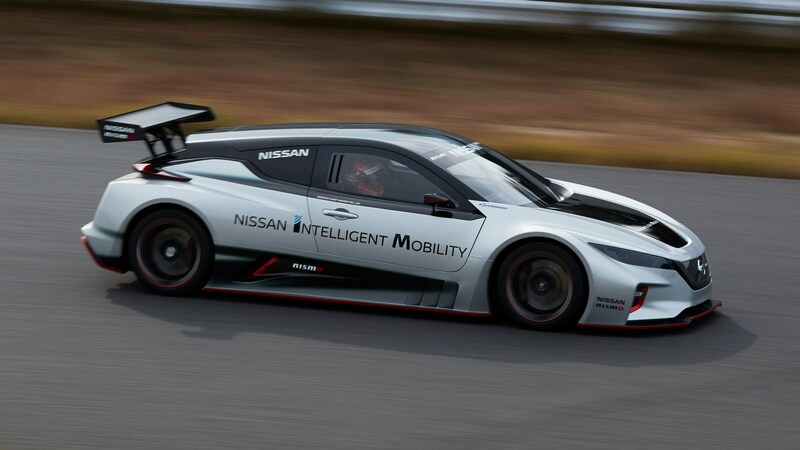 It’s not road -egal of course, and Nissan says it’ll debut at this year's annual Nismo Festival on Dec 2nd at the Fuji Speedway. After that, it’ll appear at most Formula E races in Season 5. ‘The all-new Leaf Nismo RC shows how we’re setting our sights even higher when it comes to raw power and performance – making electric vehicles even more exciting for customers,’ said Daniele Schillaci, Nissan's global head of marketing, sales and electric vehicles. 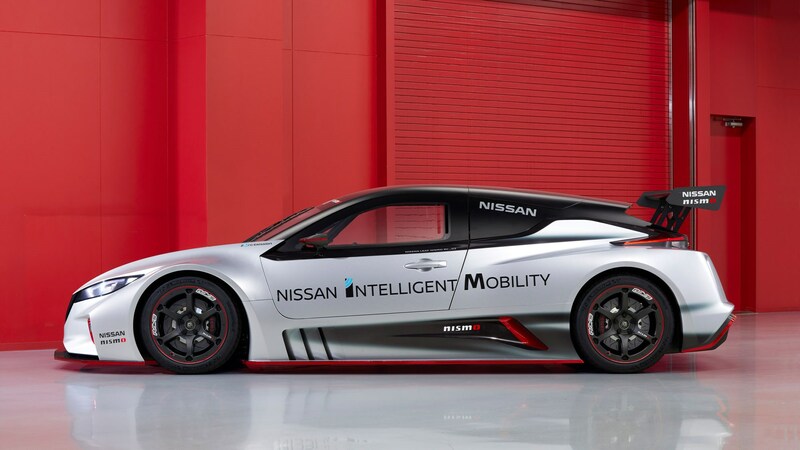 ‘It’s our most thrilling expression yet of the philosophy of Nissan Intelligent Mobility. Unveiled in Tokyo – well away from all the news in LA - the new car features two 120kW electric motors good for 317bhp (240kW).That may not sound like much, but a full carbonfibre monocoque means it weighs just 1220kg. The result? 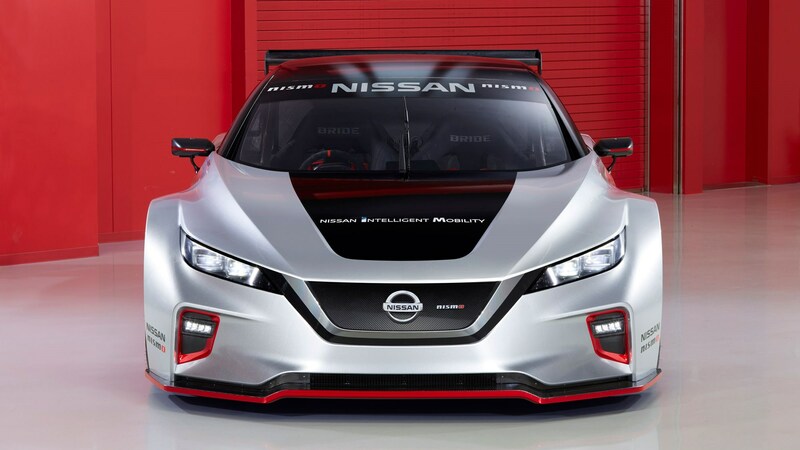 0-62mph in 3.4 seconds, which Nissan tells us is 50% faster than the last wacky Leaf racer it made in 2011. But even putting that figure to one side, performance should be impressive. Dual-motors mean all-wheel-drive with torque vectoring, and that combined with 472 lb ft of torque suggest it should absolutely catapult out of corners. How much normal Leaf is it? 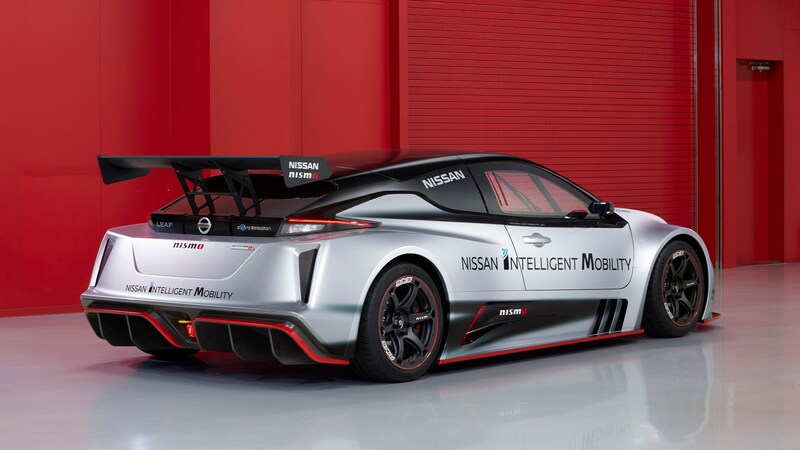 Nissan says drivetrain technology for the race car has been sourced from the new Nissan Leaf, and that includes both the lithium-ion battery and inverters, too. Given the extra performance, that suggests range for the racing EV won’t be great – but then again, it doesn’t need to be. Of course, the race car borrows much of its styling from the current Leaf EV – and we think it looks particularly good in race trim. It turns out the Leaf’s V-motion front end looks fantastic when lowered, paired with flared wheelarches, and combined with all the aero-trimmings. At 1212 millimetres from roof to road, the race car 30cm lower than the road car. 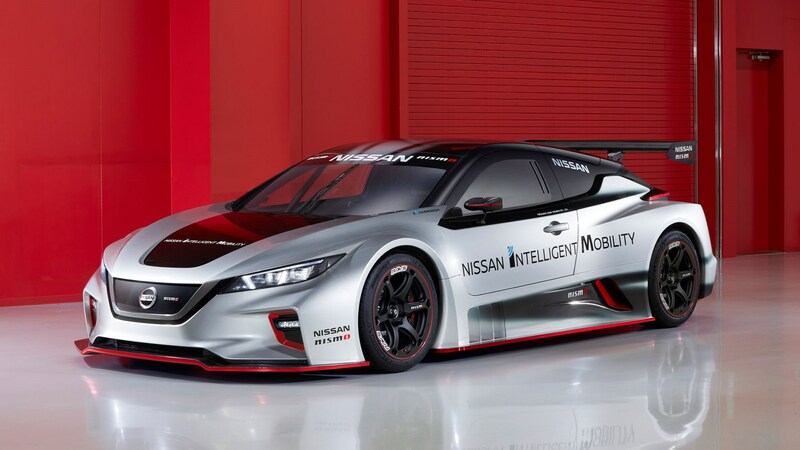 Only six of the cars will be made, and it looks like they’ll be primarily used for marketing purposes around Nissan’s Formula E campaign – which does make sense. However, wouldn’t it be better to create something like Jaguar’s i-Pace eTrophy support series? We’d certainly be up for watching lightweight, superfast Leafs racing around narrow street circuits.